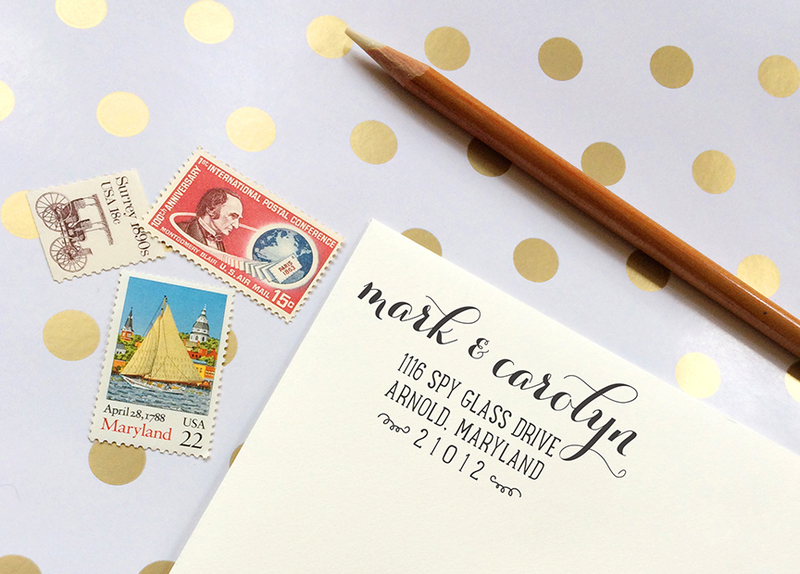 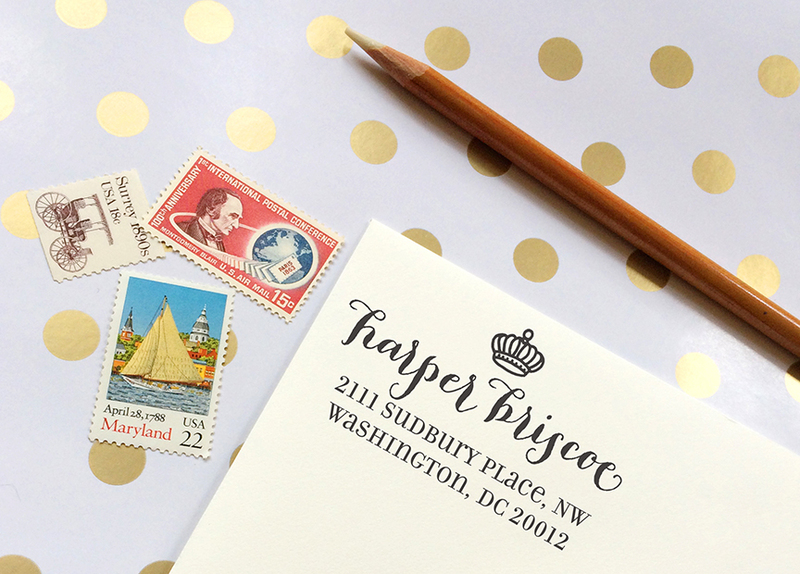 This high quality custom rubber stamp is perfect for a return address on your back envelope flap or your response card envelope. It also makes a lovely housewarming or newlywed gift. 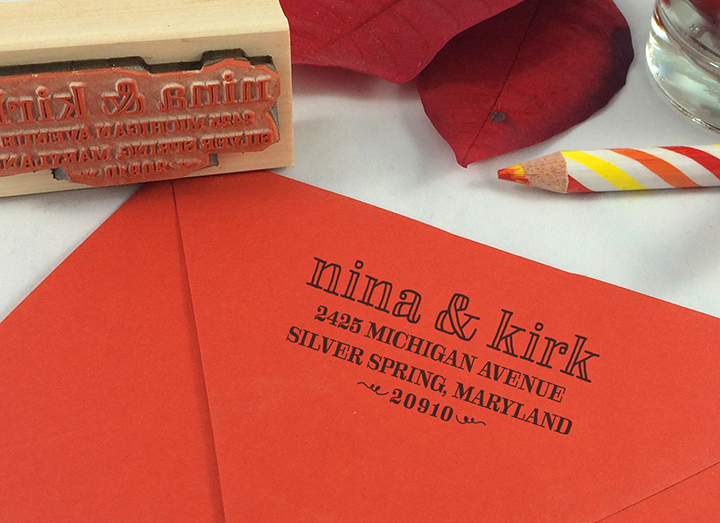 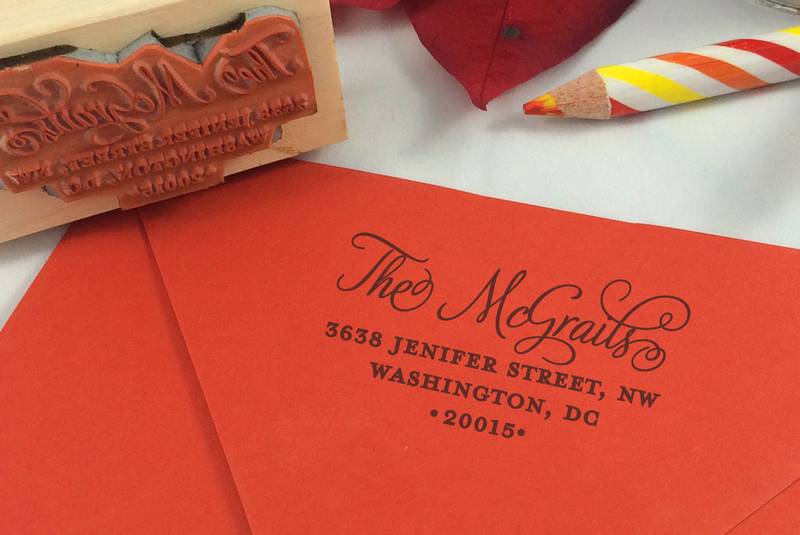 A mix of calligraphy, serif and sans serifs fonts make this stamp ultra unique. • Good for up to 10,000 impressions before needing to be re-inked. 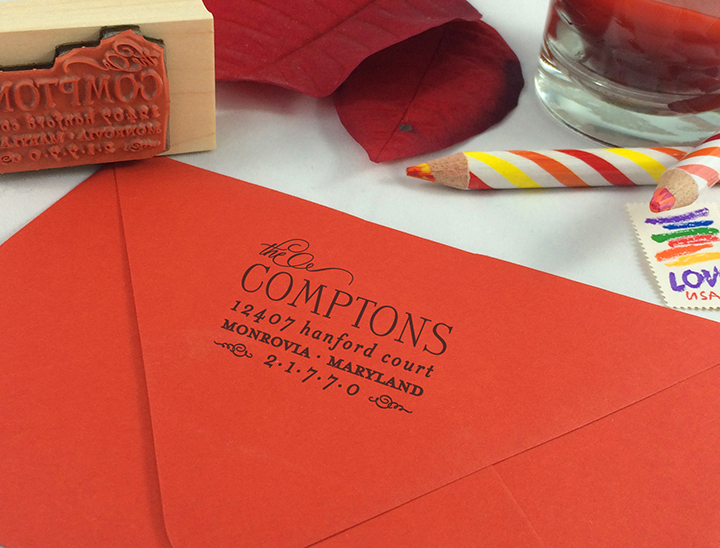 • Laser-etched in eco-friendly 100% renewable resource red rubber.